Garry Kasparov is a Russian pro-democracy leader, global human-rights activist, business speaker and author, and former world chess champion. He was born on April 13, 1963, in Baku, Azerbaijan (then USSR). He lives in Moscow and travels constantly. 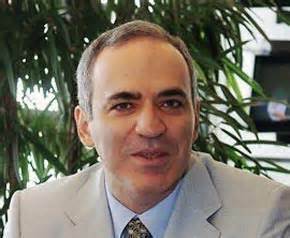 Kasparov came to international fame as the youngest world chess champion in history in 1985 at the age of 22. Eager for new challenges, he retired from professional chess in 2005 after a record 20 years as the world’s top-ranked player. Kasparov wasted no time after leaving chess, joking that he would be “far busier as a retiree.” He quickly became an important voice in the Russian pro-democracy movement against the repressive regime of Vladimir Putin. He formed the United Civil Front, of which he is still the chairman, and co-led The Other Russia coalition that focused on uniting the Russian opposition to Putin under the banner of free and fair elections. Kasparov also turned his energy to writing and public speaking. “I have spent my life thinking about thinking,” he said, “and I find many others are as interested in the field of improving human performance as I am.” Kasparov’s keynote lectures and seminars on strategic thinking, achieving peak performance, and tech innovation have been acclaimed in dozens of countries. His 2007 book on decision-making, “How Life Imitates Chess,” was translated into over 20 languages. 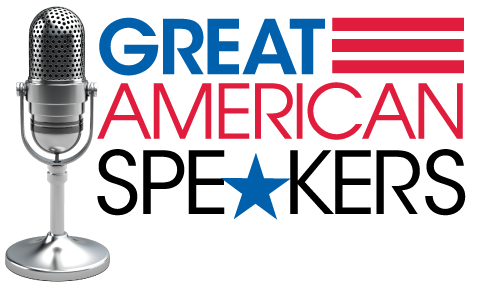 The Kasparov Chess Foundation was launched in New York City in 2002 with the purpose of bringing chess into the educational system in the USA and worldwide. Kasparov has long promoted the many benefits of chess for schoolchildren KCF’s program is now used in thousands of schools. KCF formed branches in Europe and Africa and will continue rapid expansion. Kasparov traveled to over a dozen countries to promote scholastic chess programs in 2012 alone. Forceful, challenging, and entertaining are words used to describe a speech by Garry Kasparov. His subject matter ranges from decision-making to strategic planning and from innovation to intuition. From New York City to Silicon Valley, from Porto Alegre to Dubai, Kasparov customizes each lecture for time, place, and audience with a remarkable blend of anecdotes, analysis, and personal experience. Speaking in fluent English, he is in demand by some of the world’s most admired companies. His engagements are worldwide and year-round and the average duration of a keynote lecture is 45 minutes. Kasparov also enjoys a Q&A session that is guaranteed to be lively and surprising. He recently expanded his appearance repertoire to include interactive seminars for small groups, focusing on evaluating and improving each participant’s decision-making process. Feedback has been overwhelmingly enthusiastic. "Amazing, totally inspiring and educational. We could not have chosen a better speaker."